When it comes to UK power generation, Advanced are here to help as your single source power generation provider. No matter if you have years of experience, or are just getting started with electricity generation, we are here to support your every need and help you find the perfect generator for your home or business. 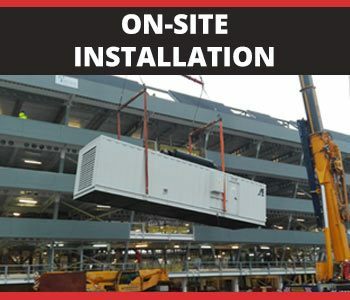 From standby generators and electrical enclosures, to weather protective, reduced noise, sound attenuated generator enclosures, we can supply it all from under one roof! 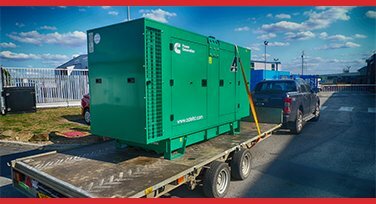 Our complete generator range starts as small as 2 kVA portable generators, and ranges all the way up to 3000 kVA high power industrial generators. 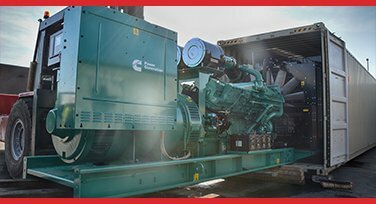 We offer a wide range of power generation solutions for both petrol generators and diesel generators from global leading brands such as Cummins, Perkins, Pramac, Honda, Volvo, Yamaha, FG Wilson, MTU & more. We also offer an extensive range of home generators, suitable for all types of domestic use. 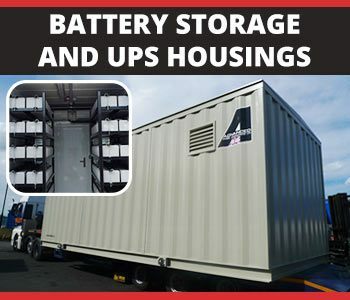 Whether you need one of our smaller portable generators to power a few essential items, or a larger diesel generator to provide backup power to your entire home, we have the solution to suit your every need. You may want your genset for primary power, standby power, or even to feed power back into the grid. Bespoke modifications can also be made to any of our generators. Such as upgrading the control panel, having IP rated sockets or additional sockets fitted, converting it from three phase to single phase, adding an extended base fuel tank or bund tray and more. You also may be thinking of synchronising with other diesel generators, or worrying about where you will house your fuel, or control the system. Advanced will establish the requirements for an effective power system to meet your every need, and work with you for a smooth transition from design stage, right through to installation. If you’re in the market for larger, industrial diesel generators, you may need noise control solutions. 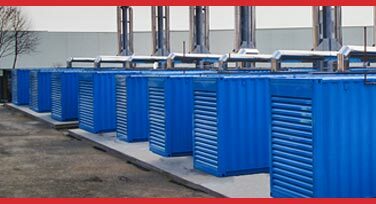 If so, we are the generator enclosure manufacturer for you! As steel container manufacturers, our fast lead time Power Box solution houses your open generator in a stainless steel acoustic container to reduce noise levels and protect the genset. 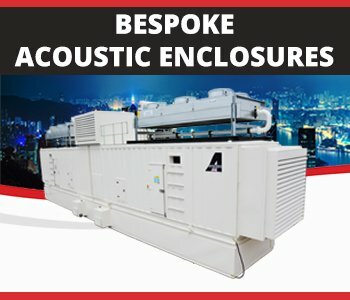 Or if you’re looking for a larger scale, completely bespoke solution, our Acoustic Enclosures are custom designed & built in-house from the ground up. Therefore your exact specification will always be satisfied, including lighting & small power, wall mounted intruder and fire alarms, internal switchgear installations and more! From day tanks and bulk storage tanks, to free-standing and under-belly tanks designed within the footprint of the acoustic generator enclosure. 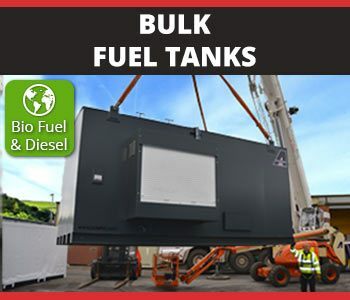 We can design, build and install an entire bulk fuel storage solution to meet your complete specification. Bespoke solutions can include transfer pipework, pumps, alarms and gauges, balancing lines, and anything else you require for your system to operate smoothly and efficiently. 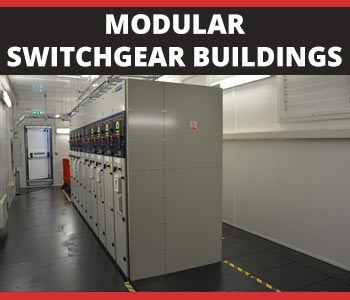 Although we are best known as acoustic generator enclosure manufacturers, we also custom design & build modular housings for electrical equipment such as switchgear suites, transformers, static UPS systems and even entire data halls. Your equipment will be installed into its completely purpose-built enclosure at our factory, and can be fully tested prior to delivery. 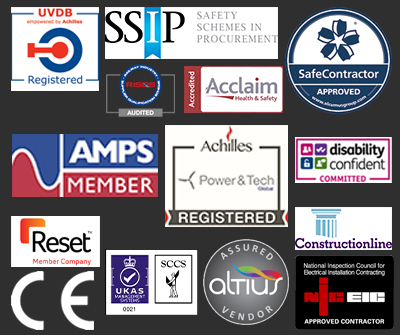 Giving you and your client the peace of mind and confidence from an early stage of the process that a fully operational and efficient solution is being developed and manufactured to meet your entire specification. All of our Cummins and Pramac generators come with the Advanced price promise: we will beat or match any better price on an exact like-for-like quote in the UK. So with your brand new backup generator system all installed and up-and-running, you have the peace of mind that not only are you protected from unexpected power loss, you also paid best price possible for it.